New Delhi: After songs, dances and dates, cricket is set to take a leap on to reality television. The Rs2,617 crore group’s sports marketing agency, Percept Sports, has conceptualized the show and is pitching the idea to channels. Media rights company Emerging Media, too, is banking on IPL’s success to revive its cricket reality show, Cricket Star, which was first aired in December 2006 to scout for cricket talent. The company, which owns the Rajasthan Royals team, the winner of the inaugural IPL tournament, is in talks with channels to launch season three of the show early next year. The new format will be bigger and brighter, says Raghu Iyer, chief marketing officer of Emerging Media and the Rajasthan Royals team. “The show has now become more relevant to viewers because of our direct involvement with IPL," he said, adding that the winner of the show will get to be a part of the team. Media experts say cricket will occupy a significant part of the general entertainment content on television. “Cricket has always been considered a form of entertainment. With the growth in the number of reality shows in the country, the next logical step would be to combine the two formats," said Jehil Thakkar, executive director, media and entertainment, KPMG, an audit and consultancy firm. According to him, the entertainment space will no longer just be about dance and drama but will include a heady mix of sports as well. Audiences have already tasted shows such as Ek Haseena Ek Khiladi, a dance show that paired actresses with sportsmen and aired on Viacom18 Media Pvt. Ltd’s Colors channel last year. Kolkata Knight Rider’s cheerleading contest, Knights and Angels, also aired on NDTV Imagine channel in February. Despite the optimism about cricket-related reality shows, past records show similar formats have not always clicked with the audience. Emerging Media’s first attempt with Cricket Stars aired on Zee Enterprises Entertainment Ltd’s Zee Sports as well as on state-owned Prasar Bharti’s Doordarshan. The show didn’t draw a strong audience interest. The second edition in 2008 did not interest any broadcasters and remained a ground event. “The show was a flop as the ratings were very low so we did not see any business sense in continuing it," said a spokesperson for Zee Sports. Similarly, another reality show designed to hunt for the fastest bowler in India, called Scorpio Speedster, found broadcast partners in ESPN Software India Pvt. Ltd and later Channel 7 (now IBN7) when it aired four years ago, but the poor viewer and advertiser response forced producers to eventually abandon it. 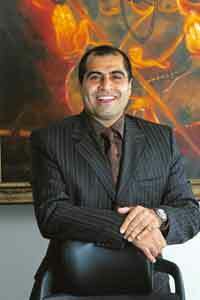 Percept’s Singh is confident his new venture will fare better. “There have been some cricket-based reality shows that have flopped in the past, which is why our show will not be the usual talent show. We are going to involve star cricketers and their families and friends; make it true entertainment to keep viewers hooked."